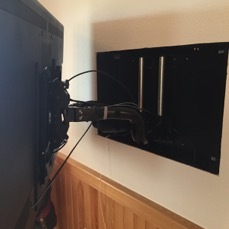 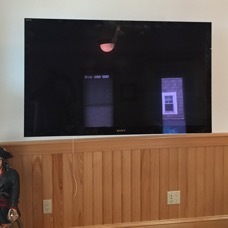 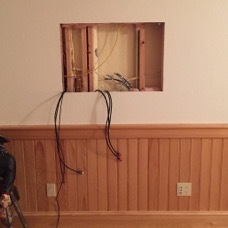 Custom in-wall mounting unit that can be pulled out from the wall for servicing. 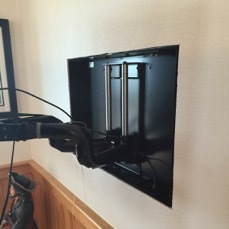 The arms and mounting bracket retract into the back box which has power and all other connections. 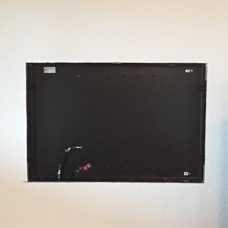 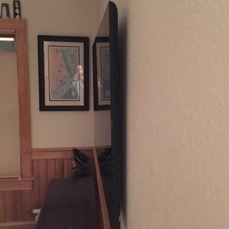 This is as close to the wall as you can mount a TV.